The season of sweaters has arrived, and we couldn't be happier. After all, who doesn't love a cozy top layer? 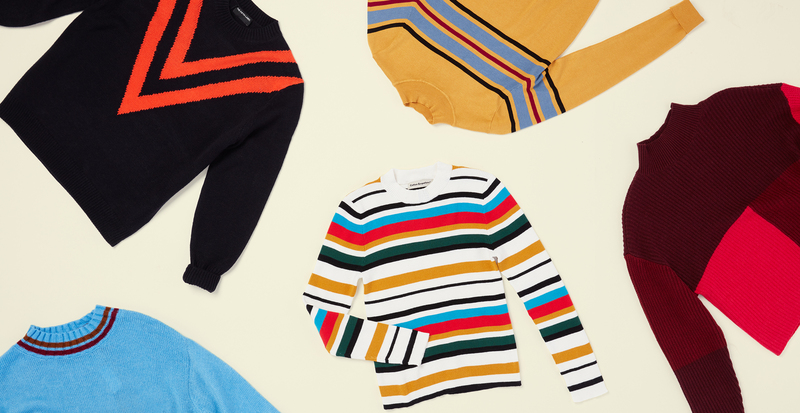 As one of your closet's undisputed foundational pieces, a great collection of sweaters sets the tone for your fall wardrobe. One style statement on our radar right now: cool retro-color schemes and motifs. 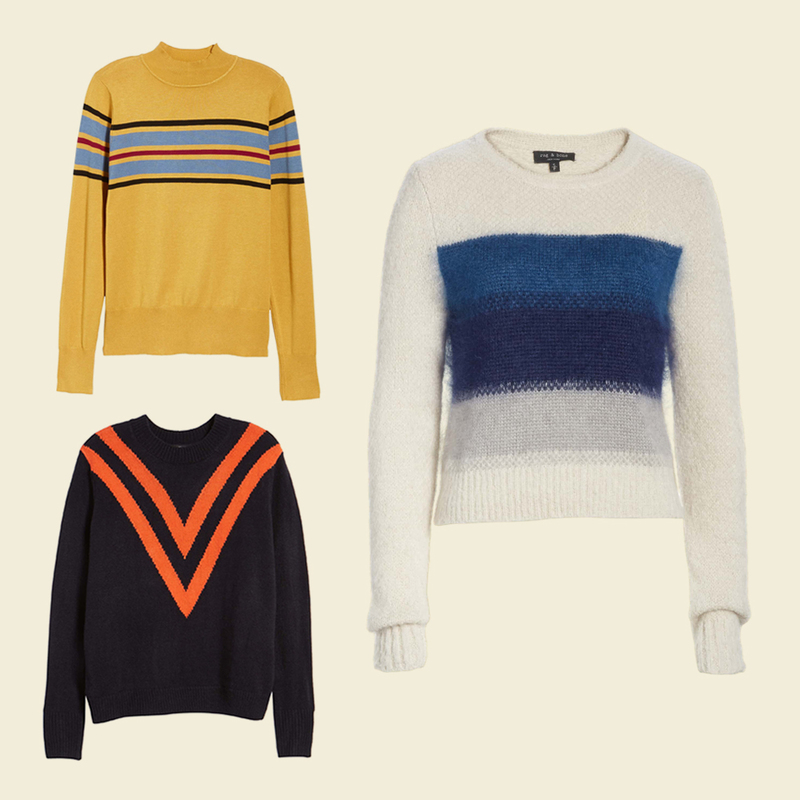 From '70s-inspired earth tones to '90s varsity vibes, adding a hint of retro-chic to your knitwear selection can make your outfit pop. Check out three vintage-inspired trends below—and prepare to turn up the saturation on your fall wardrobe. Style statements from this decade are undeniably iconic (case in point: bell bottoms). 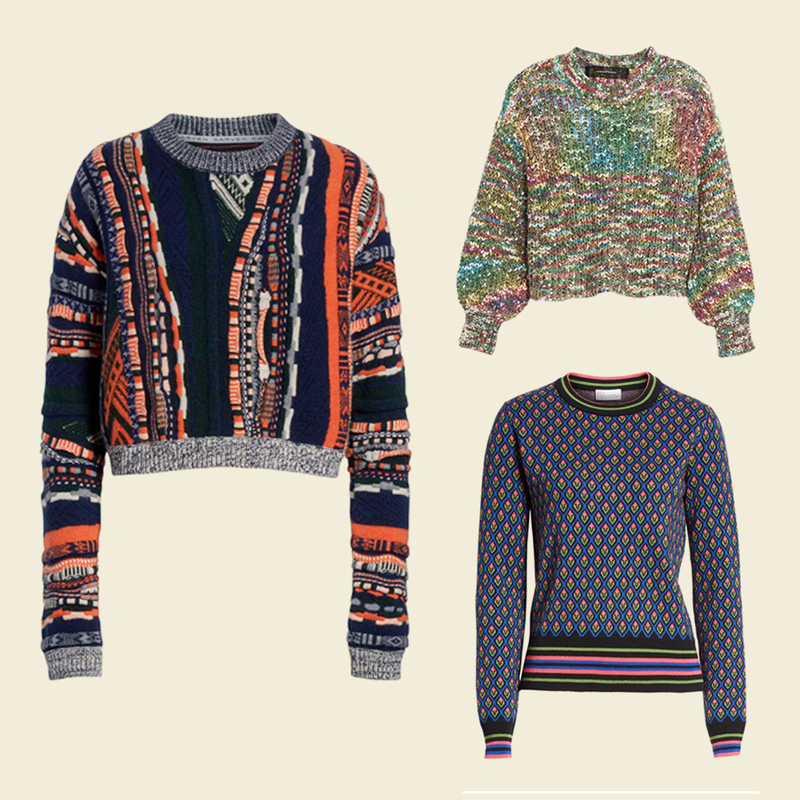 You can capture ‘70s style in your sweater selection by choosing brown, goldenrod, orange, and other rich, warm hues. For silhouette, think fitted rib-knits—a staple of this era—and opt for a hem that falls at the natural waist. If the '70s were groovy, the '80s were all about an extra dose of color, scale, and glam. Amp up your palette with multi-color melange, chevron in extra-bright hues, or a touch of neon. Pick exaggerated sleeve silhouettes and fitted knits that tuck easily into high-waisted jeans. 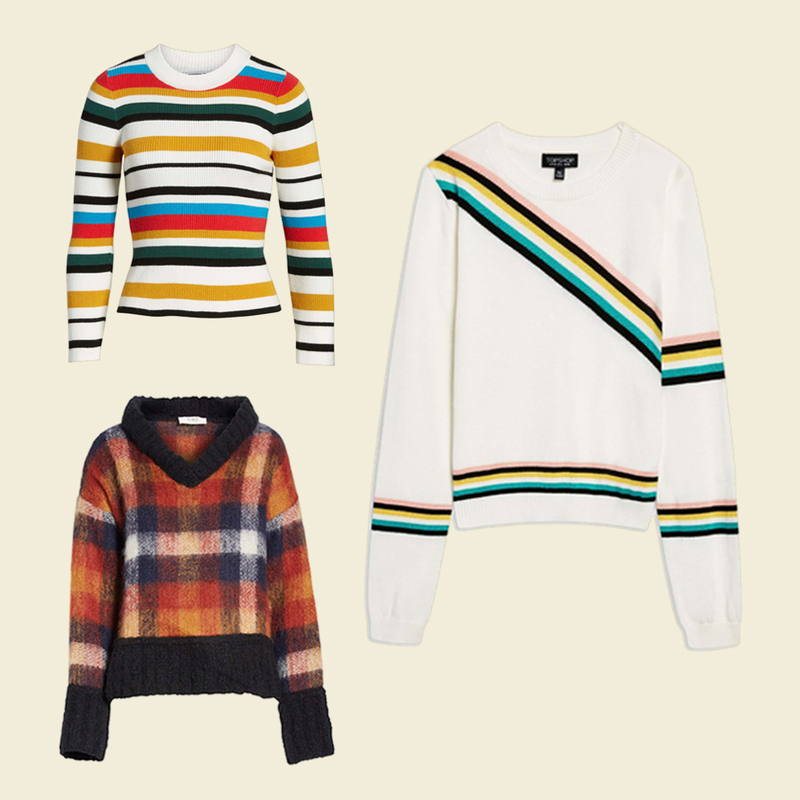 This decade is known for a unique combo of preppy style and skater girl influence, both of which play out nicely in this season’s sweater offerings. Aim for oversized silhouettes and exaggerated motifs like large V-necklines and stripes on sleeves. Color combos lean toward an Americana style, amplified by hues like candy pink.